This image was taken by the Mars Exploration Rover Spirit's panoramic camera during the rover's grinding of the rock dubbed "Mazatzal" with its rock abrasion tool. 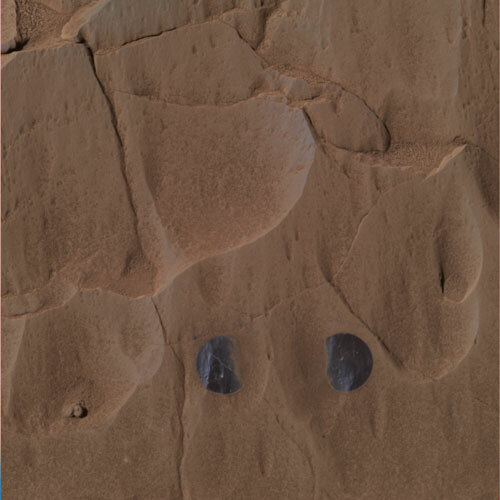 The picture shows the rock after two targets dubbed "New York" (left) and "Illinois" were brushed on sol 81. The exposed, dark surface is a second coating beneath a top white veneer. This approximate true-color image was created using the panoramic camera's red, green and blue filters.